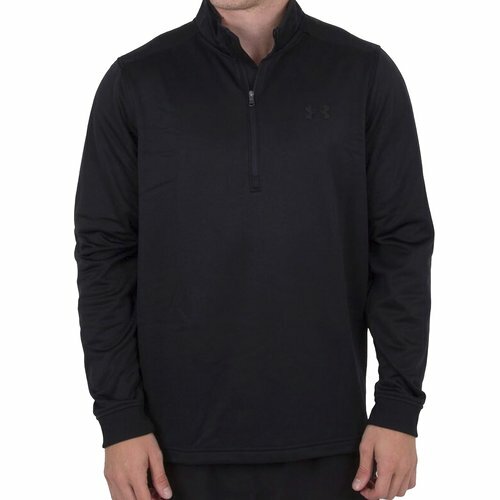 Look the part whether you're out and bout or in training with this 1/2 Zip Fleece Training Top from Under Armour. This fleece top is the replacement for the old-school fleece tops we all used to wear. This lightweight top will have the wearer feeling incredibly warm whilst still having full movement when in training thanks to the right amount of stretch fabric it consists of. It comes in a fuller cut so there's complete comfort. With ribbed cuffs this top fits to the perfect size whilst preventing any unwanted cold winds. the 1/2 zip collar allows the wearer to choose the fit of this top around the neck. In an all-black colour, this top is understated.